Our newsletters are distributed by e-mail to over 3,000 subscribers who want to stay up-to-date in their business. 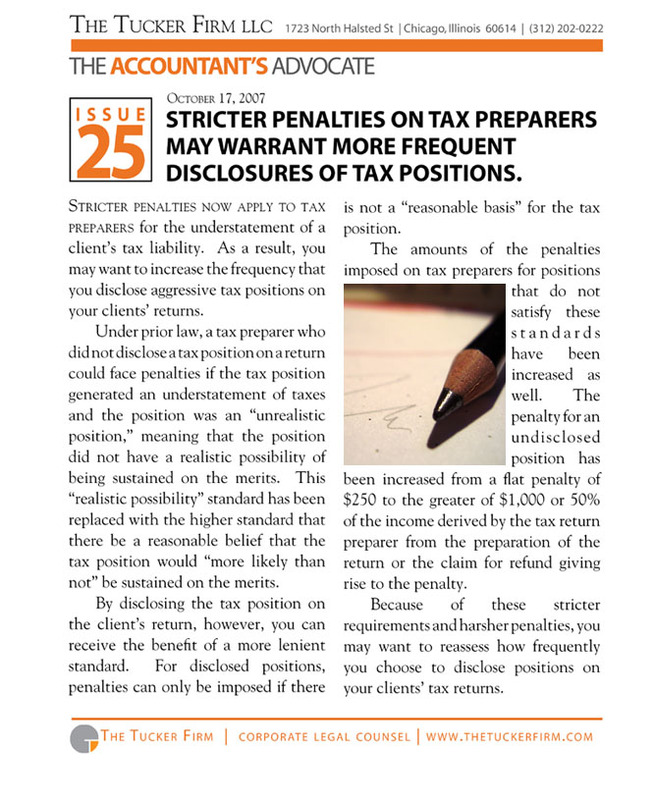 Each issue of this monthly newsletter provides accountants with information on significant legal issues in the areas of taxation, auditing, and consulting. For example, the newsletter advises accountants of new IRS revenue rulings that may impact their clients and engagement letter terms that preclude legal claims. Each issue of this bi-weekly newsletter provides real estate investors with one recommended change that they can make to increase their profits by minimizing their risk and improving their operations. For example, the newsletter advises real estate investors on how to structure holdings to protect the investor’s personal assets from property claims, how to comply with the landlord-tenant laws that govern property leasing, and how to discover problems with properties before purchasing them.